Orcas got a big break today. It is now against the law to buy and breed orcas in Ontario, Canada, thanks to landmark legislation. Today's progress is bad news for aquariums who want to keep orcas captive. Effective immediately, anyone who buys or breeds orcas could face up to $60,000 in fines or two years in prison. 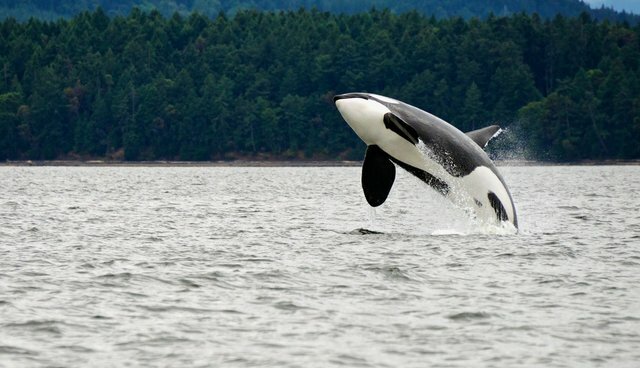 This means more orcas will be able to stay with their families in the wild for generations to come, instead of being torn from their loved ones and kept captive for human entertainment. "While businesses such as SeaWorld continue to breed orcas, despite an alarmingly low survival rate, and turn a blind eye to the suffering and pain that captivity inflicts on marine mammals, the world is changing around them," Jared Goodman, director of animal law at the PETA Foundation, told The Dodo in a statement. Kiska, who is the only captive orca in Canada, has an uncertain future. 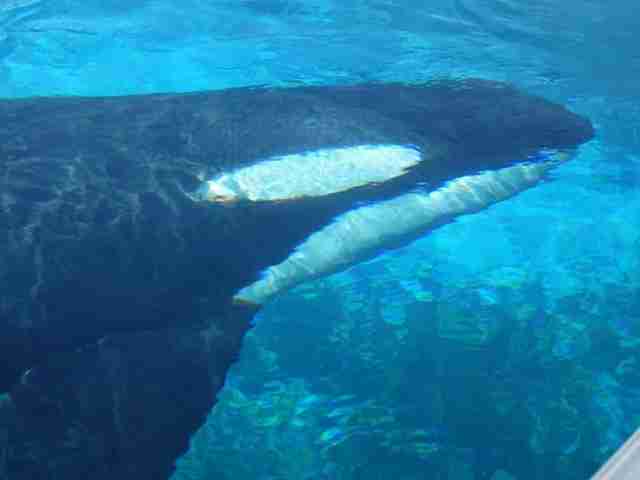 Even though the new act, which includes new guidelines for keeping orcas captive, forbids the purchasing and breeding of captive orcas, not much may change for Kiska, held at the Marineland theme park. "The legislation would establish Animal Welfare Committees at facilities with marine mammals to provide greater oversight and access to additional protections such as visits by veterinarians with expertise in marine mammals," Yasir Naqvi, Ontario community safety and correctional services minister, told The Canadian Press before the act passed. As for Kiska, Naqvi said that "we want to do what is best for her and all other marine mammals in Ontario." Unfortunately, marine parks like SeaWorld are still pushing back against legislation that will make them change their practices. Last year, SeaWorld lobbied against a bill that would have freed its orcas from SeaWorld San Diego. Orca lovers know that what's best for Kiska - freedom - might still be just beyond reach, but hopefully not for long. "Marine animal parks in Canada and the U.S. can no longer stall the inevitable," Goodman said. "They need to retire the orcas to coastal sanctuaries, where they can safely swim in the natural waters that they were so cruelly taken from." Let's hope this is just the beginning of freedom for orcas worldwide.